Lady Liberty was not a gift from France, for one. The Statue of Liberty is arguably the most famous sculpture in the world—the definitive symbol of freedom and the American Dream. 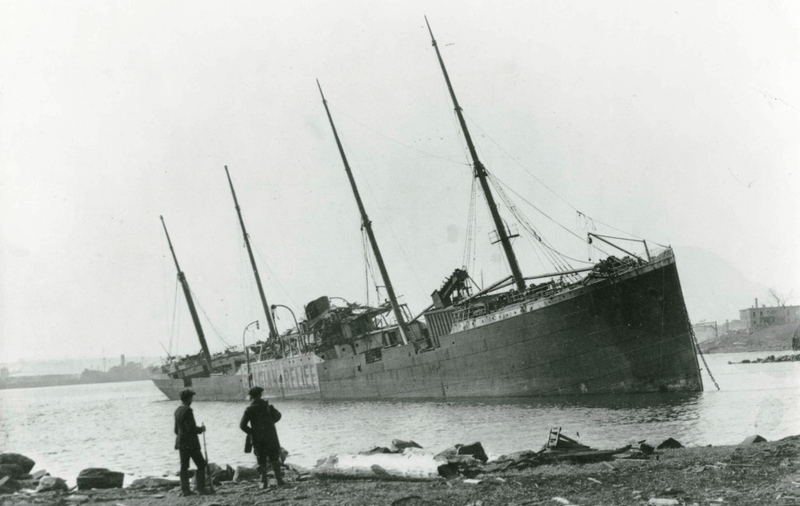 Yet despite being instantly-recognizable the world over—and a “must-see” New York City tourist attraction—few people can recall the backstory of the 151-foot-tall colossus, which stands on Liberty Island in the middle of New York Harbor. 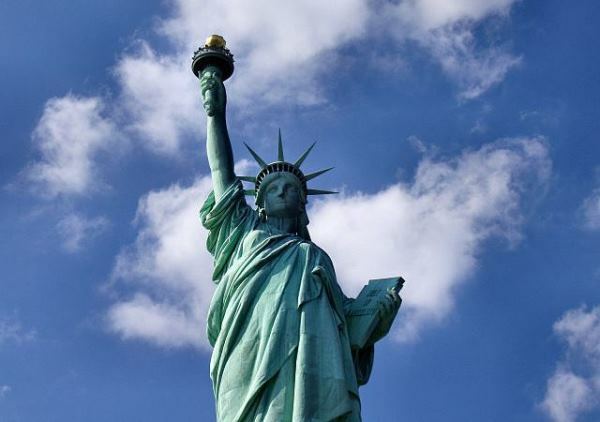 Even native New Yorkers are hard-pressed to name the sculptor who created Lady Liberty, or know where he got the inspiration, or have any inkling that Liberty might have been installed elsewhere in New York—or even in another American city. In fact, the one thing that most Americans do claim to know about the creation of Lady Liberty is a very persistent myth. 1. Lady Liberty, a gift from the French? 2. The sculptor who created the Statue of Liberty, can you name him? Frédéric Auguste Bartholdi (1834-1904) would no doubt be surprised and disappointed to learn that his name is no longer closely associated with the Statue of Liberty, especially since, “No one was calling it the Statue of Liberty early on…. When it was being pitched and when it was under construction it was referred to as the Bartholdi statue,” says Mitchell. Naturally, his other major works—including the Marquis de Lafayette Statue in Manhattan’s Union Square and the Bartholdi Fountain in Washington D.C.—are nowhere near as well-known. 3. The Statue of Liberty was inspired by the monuments of Ancient Egypt. During a trip to Egypt the enduring nature of the pyramids and the Great Sphinx made a strong impression on Bartholdi, who dreamed of building a lighthouse at the mouth of the Suez Canal. He envisioned creating the tallest sculpture in the world—a woman wearing the loose fitting dress of a slave (fellah), and holding up a torch in her right hand. But when he pitched the idea to the khedive (viceroy of Egypt), the khedive’s response was—to use a twenty-first century term—meh. It was only after this initial rejection that Bartholdi decided to pitch his colossus to the United States, a country he had never visited. 4. Americans didn’t respond to the idea of a Liberty statue … until they did, thanks in part to the mostly self-serving efforts of Joseph Pulitzer. Bartholdi came to America for the first time in June 1871, armed with letters of introduction from prominent intellectuals back in France. Even so, his proposal to build a statue commemorating liberty fell on deaf ears. Ultimately, much of the funding to create the statue came from schemes devised by Bartholdi. For instance, after workers erected the statute in Paris to test the design, he sold tickets for people to go up into the head. “Then in America, Bartholdi tried a similar thing when he had the hand and the torch in Philadelphia at the world exposition in 1876. He charged people to go up and look out over Fairmount Park,” notes Mitchell. But much of the fundraising came via the support of newspaper owner Joseph Pulitzer, who had purchased the World, which he positioned as the little man versus the wealthy of New York. As the voice of the little man [the paper said], “We must raise the money! The World is the people’s paper…. Let us not wait for the millionaires to give this money.” Pulitzer enticed individuals to donate a penny by offering to print their name in the World, an offer that not only worked wonders for the fund-raising effort but built circulation. 5. The Statue of Liberty might have ended up in Central Park … or Boston or Philadelphia. 6. Bartholdi wasn’t overly impressed with America—or the American people. 7. Gustave Eiffel, designer of the Eiffel Tower, created the support structure for Lady Liberty. In order for the Statue of Liberty—isolated on a small island and unprotected by other structures—to survive extreme temperature changes, salty sea air, and frequently windy conditions, Bartholdi called on civil engineer and architect Gustave Eiffel to provide the expertise necessary to develop an adequate design. Eiffel’s iron and steel support structure proved (relatively) enduring. But “Eiffel’s design was risky because the two metals couldn’t actually touch each other,” notes Jonathan Waldman in “Rust: The Longest War” (Simon & Schuster). “Dissimilar metals, in contact, corrode,” he writes, referring to the process of galvanic corrosion. “Electrons travel from the weaker, more electronegative, metal, to the stronger one—and in the process the weaker one is destroyed, which is why batteries don’t last forever,” explains the author. 8. In May 1980, protestors unwittingly called attention to the fact that Lady Liberty was rusting away. On May 10, 1980, a pair of thirty-something protestors from San Francisco, Ed Drummond and Stephen Rutherford, climbed up onto Lady Liberty and unfurled a red-and-white banner that read: “Liberty Was Framed—Free Geronimo Pratt,” referring to a Black Panther who had been convicted of murdering a teacher, a crime for which he had been imprisoned. Drummond had planned to venture all the way up onto Lady Liberty’s head with the aid of a pair of eight-inch suction cups, but found the climbing unexpectedly difficult, thanks to the corrosion of the statue. He noticed countless little holes (where rivets holding the copper skin to her iron frame had popped out) and found small gaps between the plates of copper. More troublesome still, the surface of Liberty’s skin was covered in millions of little bumps, “like acne,” elaborates Waldman in “Rust,” which rendered the suction cups nearly useless. As a result, Drummond came up far short of his goal and the duo surrendered to police after just 24 hours. But the pair’s escapade ultimately inspired a close investigation of the condition of the statue, which revealed an alarming level of deterioration—inside and out. The exterior tears, scabs, stains, cracks and “rust boogers” (Waldman’s words) were the least of the problem. Inside, workers had to remove a layer of black coal tar (applied in 1911), a layer of aluminum paint (1932), and a layer of enamel paint (1947), as well as disintegrated asbestos and other paints, before setting to work on the iron and copper. A massive fund-raising campaign overseen by Lee Iacocca generated $277 million, which paid for a full-scale restoration project, completed in time for the centennial celebration on July 4, 1986. 9. Suffragettes protested the unveiling of Lady Liberty in 1886. 10. Bartholdi had little luck profiting from his creation. Bartholdi fully expected to make a tidy profit from Lady Liberty. On January 2, 1879, he applied to the United States patent office to secure Liberty’s image. “The patent, which was granted at the outset for fourteen years, would allow him to receive monies for any use of his Liberty image, including photographs, as long as he was willing to pursue the collection of those payments,” explains Mitchell. “If an American or French company wished to use Liberty in an advertisement, it would have to pay Bartholdi.” As it turned out, people infringed on Bartholdi’s rights so frequently and for such a wide range of purposes that enforcing his rights proved impossible. Bartholdi passed away on October 4, 1904, after a battle with tuberculosis. 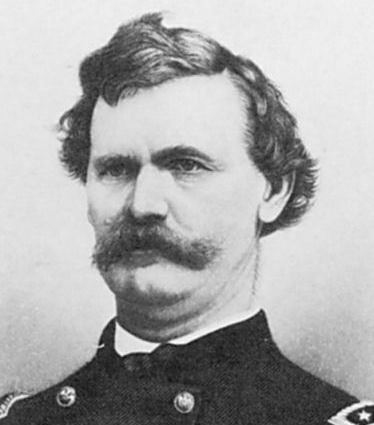 Robert Kingston Scott—Distinguished Civil War general turned coldblooded killer. 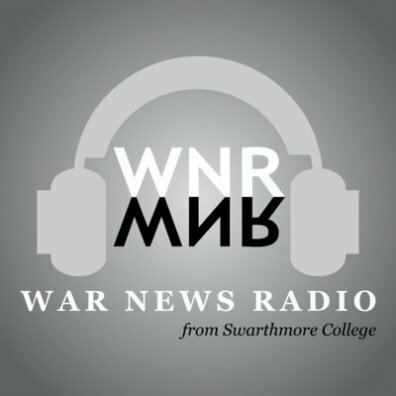 War and Peace—War News Radio brings Iraq home. 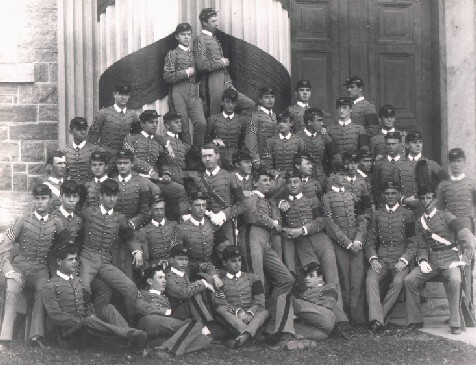 The Goats of West Point—Where are they now?